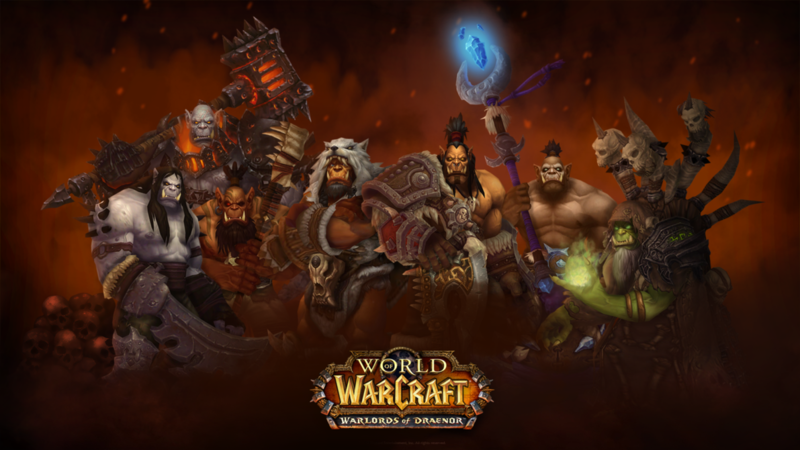 The Many Problems With Warlords of Draenor – AiPT! It’s no big secret or unpopular opinion: ask any World of Warcraft player what they think of the current expansion, Warlords of Draenor, and you won’t get a lot of positive reaction. In fact, many (myself included) will rank it amongst the worst incarnation in WoW‘s eleven year history. But why? We’ve lived through some dreadful things in Azeroth, so what makes Warlords the straw that broke the gryphon’s back for many players? Not only were they a huge disappointment, they actually negatively impacted several areas of the game, including the ever-increasing feeling of player isolation as well as introducing far-reaching implications on the economy. But let’s back up for a second, because it’s important to note that in some form, we asked for this. For years, one of the most glaring omissions in WoW‘s gameplay compared to other MMOs was the lack of player housing. Players clamored for a place to hang their helms at the end of a long day of adventuring or farming, and some shelves to house all of their virtual achievements. It took them ten years, but in true Blizzard fashion, they introduced something and went insanely overboard with it. We got the housing we wanted, but this wasn’t just a small plot of land somewhere or the keys to some kind of Azerothian apartment complex. The Garrison is a focal point of Warlords‘ story, as you become a high-ranking commander of your chosen faction and are responsible for the Alliance or Horde base on the planet. King Varian Wrynn or Warchief Vol’jin personally thank you for the sacrifices you make in setting up the Garrison that allows them to fix the mess caused by Garrosh. That’s a little more responsibility than we asked for! And that would have been great—one of the things I actually really do dig about Warlords is that it really makes your personal character feel like so much more than just a cog in the Alliance/Horde war machine, you were standing side by side with important faction leaders leading the charge against the Iron Horde—but some of the other ideas they had for the Garrison didn’t work out so well. For one, an increasing issue in WoW is that for all the conveniences Blizzard introduces—LFR, dungeon finder, cross-realm zones, etc.—the feeling of community and interaction dwindles. In other words, the “massively multiplayer” part of MMORPG feels less and less important with every passing patch. Garrisons did absolutely nothing to fix this, and actually exacerbated it. Players are confined to their personal garrisons for large chunks of time as they tend to their garden, their mines, their followers, and their salvage yards, not to mention the fact that most profession progression takes place here too. And no one else is ever in your garrison unless you specifically invite a party member to join you, which is kind of neat at first but unless you need to use one of their buildings, is ultimately pointless. Speaking of professions, thanks to the fact that every player, regardless of chosen profession, has a garden of herbs sprouting up every day that they can pick and a team of peons working in their own personal mine shaft, the economy on these simple gathering reagents has been more or less shattered. Selling herbs and ore on the Auction House used to be one of the central ways to make money in WoW; now, you just log on, sleepily walk around in a small circle tending to your own personal garden with nearly no danger involved (there is the occasional, easily defeated mob that will spawn whilst picking herbs), and before you know it you have filled your reagent bank with about six expansions’ worth of materials. It will be interesting to see what ends up happening with garrisons in future expansions. As I mentioned, player housing has been one of the more requested features for years now, but garrisons were so haphazardly included that I can’t imagine the concept will make it to the next story without some major modifications. Traveling the world? Finding exotic goods? Who needs it?! Everything grows right here! While complaining about garrisons I mentioned their negative effect on the materials market. It is a huge issue with professions, but far from the only one. Sure, mats is no longer a viable way to sustain yourself monetarily, but that would be fine if there was some other incentive; any incentive. This was handled nicely in the form of profession bonuses first introduced in Wrath of the Lich King: Since gathering professions didn’t have any tangible benefit in combat, special trats were added to make them a little more attractive. Herbalists got increased haste, while miners got increased toughness. It was a nice little bonus while not being anything earth-shattering; it wasn’t like to be an effective rogue you had to take herbalism, for instance. But in Warlords, not only was the monetary benefit of gathering professions gutted, the combat bonuses were completely removed as well. The only reason my main character is still an herbalist is out of sheer laziness and lack of desire to re-level any other profession that will provide equally little benefit. When anyone in the game has their own personal garden at their disposal, and combat bonuses no longer exist, what’s the point in focusing on the profession? This of course leaves the crafting professions, which do provide a small advantage…at the beginning of the expansion. Scribes, for instance, are able to fill in holes in their gear set while leveling up for the introductory raid by crafting their own 640 pieces of gear. But once epics start raining from the sky like candy coming out of a boss-shaped piñata, as eventually happens in every expansion, there just isn’t any more incentive to pour money into the materials required to make a bind on pickup piece of antiquated gear. And don’t even get me started on the tertiary professions. Did you even remember archeology was a thing, until I just mentioned it, in this very sentence? Professions were never a particularly thrilling aspect of the game, but at least there was a sense of accomplishment and reward when investing large amounts of time and your hard-earned gold pieces into them. Now, they seem like a forgotten relic from a time when WoW cared less about streamlining and more about immersion. These animals slowly lumber around a circle, not ever really getting anywhere or accomplishing anything. Not a bad metaphor, really. From vanilla to the end of Lich King, I was insanely into WoW PVP. The Grand Marshal grind was tedious, but it fostered a sense of community that I still haven’t had anything else even approach replicating in this game since. I still talk to friends I made in 2005, working out point caps and rank orders. Then came arena, where I spent most of my time in Burning Crusade. It was new, it was fresh, and it was the closest thing to the deathmatch style battleground I always wanted. It was also small-scale enough to where every button press could end up having a huge impact on the game—it was micromanagement on a whole new plane. It was far from perfect, though, as the game was originally intended for PVE raids and at best, large-scale, objective-based battlegrounds. Arena was insanely hard to balance without severely watering down and homogenizing each class (why bring a feral druid over a rogue when he can’t interrupt spells or sap, for instance?) and eventually, Blizzard just kind of…gave up on it. Arena still exists, and you can still earn titles, but Rated Battlegrounds have seemingly taken the throne as the type of competitive PVP Blizzard wants to encourage. Arena clings to its life as the forgotten stepchild Blizz just doesn’t have the heart to pull the plug on. Enter Warlords, and Ashran. Ashran was marketed as a callback to the Alterac Valley of old; an improved, never-ending version of Wintergrasp or Tol’Barad. The second coming of world PVP. This was really the feature of Warlords I was most looking forward to: I can log in whenever I want and join a battle that never ends for fabulous prizes? Sign me up! Of course, the reality ended up looking almost nothing like that. Ashran in its current incarnation is not quite the chaotic, always-running bedlam we envisioned—it’s plagued by long queue times, faction imbalance, and has sadly devolved in much the same way as the old-school Alterac Valley it was supposed to revive did. It’s a PVE race to the boss and then you get the heck out of there. I’m sure plenty of people have written dissertations of their own on how to improve Ashran, but I just ended up not very interested after really, really wanting to be. PVP sounded like it was going to be a whole lot of fun in Warlords, but it ended up being the same grind, different flavor, at best. I actually invested a whole lot of time to get the “Warlord of Draenor” title, which required me to kill 500 members of every opposing faction. Instead of having a blast getting the quests knocked out while actually PVPing, though, it was bizarrely bugged in that you got extra credit for each member of your party (not raid, mind you) also on the quest, artificially extended in that you could only work on one quest at a time, and eventually the best way to get the quest done was cheesing the system. The alternative would have been spending like, a year doing a boring Alterac Valley analogue, hoping to god you run into a Goblin or a Pandaren, who at this point you’ve become convinced are as elusive as unicorns. Add to this the fact that there were no new battlegrounds or arena maps, and you have probably the least satisfying PVP in WoW‘s history. And that’s coming from a guy who played a rogue against Death Knight/Paladin in season 5, and played all of Cataclysm. This is probably the most painful one, personally. One of Warcraft‘s strong points has been its extremely expansive lore, and Warlords was hot on the heels of Mists of Pandaria, which I think even the most ardent panda hater can admit had a pretty deep, interesting story. The best thing about it too was that it was a wholly original story; we went in not knowing who the final antagonist would be or what kind of things we’d find on Pandaria, as opposed to the previous expansions being “Illidan’s expansion,” “Arthas’ expansion,” or “Deathwing’s expansion,”—in other words, retellings/fallout of story threads we’ve known about since before World of Warcraft even existed. Pandaria was deep, offered a whole new continent of creatures to learn about, and had serious implications on our way of life back on Eastern Kingdoms and Kalimdor. Of course, it ended up being a time travel story, where the events of this AU planet had little to no impact on our world. Which was pretty disappointing, because the reason Garrosh went back in time was pretty interesting: he absconded from Pandaria with a bronze dragon, allowing him to travel through time in order to build in his mind the perfect version of the Horde. Problem is, everything after the introduction was inconsequential at best and quickly thrown together/suddenly aborted at worst. For being such a terrible menace in Pandaria and being the most intriguing villain created in the Warcraft universe this side of Arthas, Garrosh’s death was anything but satisfying, taking place in a level 98 quest that rewarded you with a blue helmet. That’s the final blow to a guy who terrorized an entire continent of peaceful denizens, awoke ancient terrors and almost shattered the entire planet? Thrall casts Lightning Bolt and nips it in the bud? I know Thrall is the most powerful shaman there is, but Christ, my SoO raid had like four shamans casting Lightning Bolt constantly and he didn’t die! Then we have the fact that Hellfire Citadel is the end raid to wrap up the Warlords storyline, which makes very little sense considering going in, Grom is one of the largest villains of the expansions, but somewhere along the line we just start sympathizing with him and say “aw hell, let’s give the old brute a hand.” Yrel watched her sister die at the hands of Grom, but suddenly, somehow, everything is just all hunky dory and we take on the real horror, Archimonde, together? Who really cares about Archimonde anyway? I thought this was about the Iron Horde? And why did we go through all this trouble anyway? Surely there was some way to re-rewire the Dark Portal and just lock Garrosh in that doomed alternate universe, leaving our present time and world perfectly fine? There was nearly nothing to gain throughout the story of Warlords, and that lack of motivation trickles down to the players when they’re running the same raid for the 30th time in a row with absolutely no connection to the story. Warlords‘ story wasn’t entirely without merit, though. It was interesting seeing the evolution of Yrel, especially since badass Dranei characters are in short supply. It was great to have the spotlight on Draenei once again, as they’re one of the more interesting races and haven’t really had their fair shake at the lore since their introduction in The Burning Crusade. Unfortunately though, most everything else about the story just felt so slapped together and abruptly ended. When Warlords was announced, time travel-related concerns aside, it sounded pretty freaking epic. Warlords‘ team was purportedly the biggest in the game’s history, and they had a whopping 14 months from the release of the 5.4 Siege of Orgrimmar patch in MoP for that newly bolstered team to work on content for Warlords. It was full of badass promises: The Alliance city was slated to be Karabor, or Black Temple before it was Black Temple. And the Horde’s looked pretty sweet as well: A towering fortress named Bladespire Citadel. So, sprawling temples and citadels that would put TBC‘s Shattrath City to shame were the promise. What did we end up with? Nothing even remotely close to that. Early on in Warlords‘ development, not only were these locales scrapped, the entire concept of capital cities on Draenor was thrown out the window, replaced by a small series of huts and generic human buildings on either side of Ashran, an island that has no real value to the main storyline. Okay, I guess…I mean, that’s disappointing, but we’ll make do without capital cities. It lends more credibility to the need for garrisons anyway. Speaking of garrisons, when Warlords was announced we were told we could scout a plot of land anywhere in the world to place it, and name the various workers and NPCs to make it feel more homey. Visions of race-specific buildings, and hanging out with your alts danced in everyone’s heads. Of course, what we ended up with was what amounted to a phased, personal daily quest hub. No real customization other than which of two to three possible areas to put a building. Every building is the same drab, boring human colonial house or orcish hut. Cataclysm: Launched with four (Blackwing Descent, Bastion of Twilight, Throne of the Four Winds, Tol’Barad), ended with six (Firelands, Dragon Soul). That’s quite the curve, isn’t it? What’s next? Will the next expansion just do away with the idea of raids altogether? Maybe we just sit around in someone’s garrison singing kumbaya whilst holding hands? Keep in mind that this is supposedly the largest team ever working on WoW, and raids are the game’s bread and butter. I won’t list out the dungeons, but it’s pretty much the same story. Every version of the game has added new five man dungeons to the game with the exception of Mists and Warlords. Mists at least had a ton of scenarios and added more as the game went on, whereas by the time Warlords came out scenarios seemed to be a dead concept. Warlords is also the first version in the game’s history to not add either a new race or class. Burning Crusade added the Draenei and Blood Elves to the game, and while there was no new class, it opened up Shamans and Paladins to be playable on the Alliance and Horde, respectively. Lich King gave us Death Knights, Cataclysm introduced Worgen and Goblins, and Mists added both a new race in Pandaren and a new class in the Monk. Warlords? Zilch. Nada. Nothing. Warlords saw the fewest amount of content patches in the game’s history, as well (a lot of records being set by this expansion, and none of them good). The game ends after a meager two content patches, and one of them, 6.1, added no raids or dungeons. No new battleground. No, patch 6.1 was about…selfies and Twitter integration. Now, I’m not one to deride Twitter as a concept (in fact, I’m on it all the time (cheap plug)), but come on, Twitter integration is your big dot one release?! And the ability to find a camera in game and take screenshots in a new way?! Novel, maybe, but it’s certainly a far cry from all the other dot one releases in the game’s history. So, promises made were either entirely scrapped or neutered from the beginning. We were given the fewest amounts of raids and dungeons in the game’s eleven year history, with no new playable races or classes. And on top of all of that, it was $10 more expensive than ever! I’ve been a staunch Blizzard defender for a long time, but it’s hard not to see Warlords as a lazy cash grab by now. The saddest part about all of this is that Warlords brought in a lot of veteran players, including people who didn’t enjoy the direction the game went in with Mists (not me, of course–Mists is my favorite expansion). Warlords looked gritty, and a throwback to the Orc-centric stories of yore. Warlords actually got WoW back over the 10 million player number, something it hadn’t achieved in some time. But once seeing how the game actually ended up, there has been a sharp dropoff that I’m not sure it will be able to recover from. This isn’t just usual, end-of-expansion fatigue either; Blizzard has lost the trust of many players who decided to give the franchise one more go with Warlords, and it’s going to be extremely difficult to get them to take another look now. Blizzard will be announcing the sixth expansion to World of Warcraft on August 6th, months before Blizzcon, where they have always announced expansions in the past. Speculation is running rampant that this is something of a knee-jerk reaction to the poor reception Warlords has gotten; still other theories exist that Warlords was always meant to be a stopgap between Mists and the ‘true’ next expansion, a nostalgia fest that they sort of gave up on halfway through to work on what’s next.